Borrowing the title from writer Gary Younge’s book with the same name, this exhibition intends to reflect on the way in which administrative systems can define, and even limit or obscure, our personal identities. Documents of identification such as passports, biometric residence permits, work permits, electoral enrolments, NI cards and judicial documents, not only define who we are, but also what we can do. Whilst such documents outline how and where people work and live, they don’t narrate individual stories. 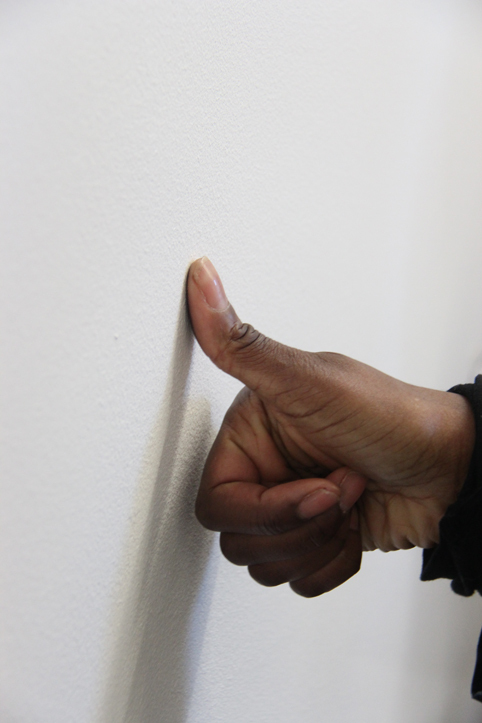 The wall drawing on display uses one of the oldest methods of identification -fingerprints, as the starting point. No two humans have the same finger, palm or footprint. These parts of the human body have unique ridges that are constantly broken up by endings or forks which form unique patterns. 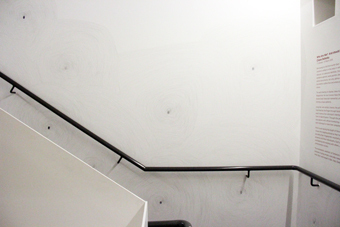 Using her own artistic licence, the artist, Chiara Dellerba, extends each of the ridges imprinted by the finger through hand-drawn pencil lines. As the fingerprint merges from an exact stamp of an individual’s identity into a free-flowing drawing, it becomes invalid as a form of identification. Through this process the act of providing a fingerprint also loses its associations with official monitoring, and instead becomes a creative process that enables each individual to mark their uniqueness. 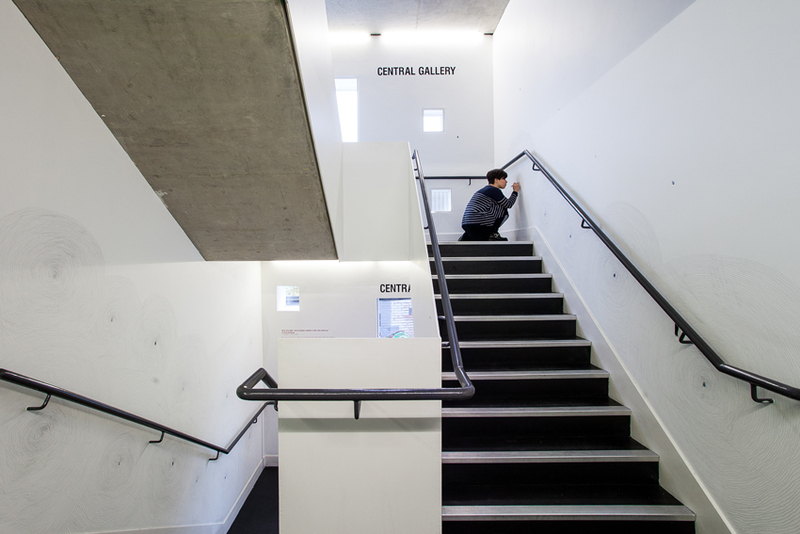 Prior to and during the length of the exhibition, Dellerba will invite participants who have chosen this neighbourhood as their home to leave their fingerprints on these walls. By providing their fingerprints voluntarily, the artist is asking these individuals mark their presence and their individuality. Each pattern ‘grows’ organically with the drawings, overlapping and merging with the others – therefore metaphorically presenting the make-up of contemporary society.